Samsung’s Galaxy Note 9 is getting a new paint job. The company’s Taiwan arm has debuted “First White Snow,” a new color option for the Note 9 that’s sure to stun customers. The look features the Note 9′s usual crystal lens texture, allowing the First Snow White version to reflect light in gorgeous ways. The S Pen has also been painted white, along with the rear accent pieces. The glass bezels around the display, however, remain black. This variant is only coming to Taiwan, but customers who get it are in for a treat. 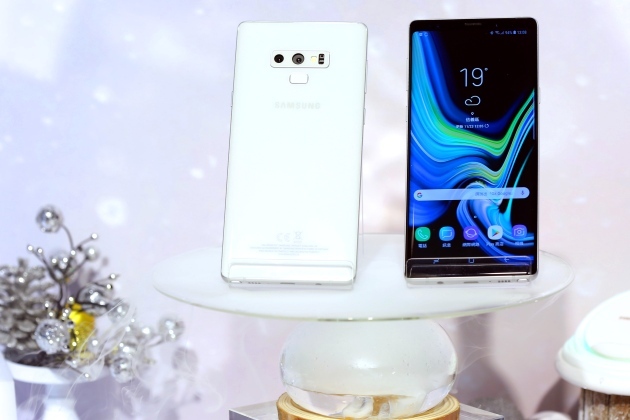 The First Snow White Note 9 features a 6.3-inch 2960×1440 display, 2.7GHz octa-core processor, 6GB RAM, 128GB storage, 12-megapixel telephoto rear camera, 12-megapixel wide angle rear camera, 8-megapixel front camera, Android 8.1 Oreo, and the S Pen. Samsung Taiwan is launching this Note 9 variant in early December for NT$30,900 ($999 USD). Additionally, those who purchase before December 31 will receive a free fast wireless charger.